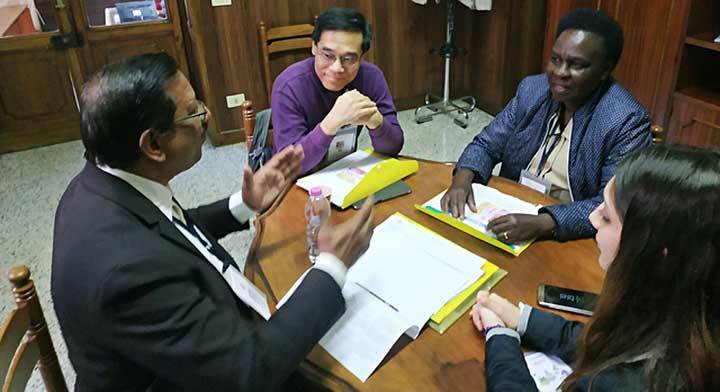 Rome, 15 March 2019 -- The Biennal Meeting of the World Council of the Association of Salesian Cooperators (Coordinator: Mr. Antonio Boccia, World Delegates Fr Giuseppe Casti, SDB and Sr Lesley Sandigo, FMA) is taking place in Rome, March 13-17, 2019, in order to finalize the 6 year Strategic Plan for the 35,000 members of the Association. One of the recent 5th World Congress of ASC (Rome, October 23-28) documents was the one-page 'Final Working Document' - 6 Year Plan Outline (cf. Boscolink). a consistent message or guidance from the World Council will help the provincial level and accelerate the transitioning process. 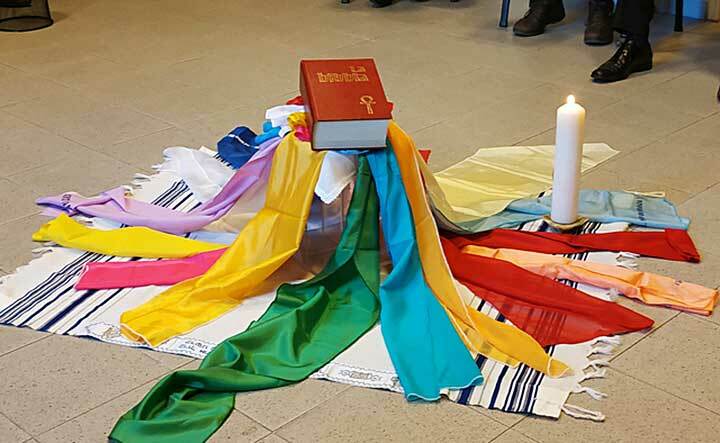 After our personal sharing in the World Council Assembly then we examined the commitment guidelines emerging from the 5th World Congress (October 2018) and with some enhancement. There was also a suggestion of an addition to point (5), Conversion Process, that we close the gap between “we know” and “we do” as mentioned above. The World Council will give it more thought before approving the final document later in this meeting. On the evening of the first day we were happy to have the presence of the Rector Major, Fr Ángel. He agrees with our lines of commitment and encourages us to accomplish them as a Salesian Family in accordance with the 2018 Synod of Bishops ('Synodality'). Although he had just returned from Southern Africa, he appears to be very energetic and joined us for dinner. Then Fr. Ángel shared in familiar fashion his (2018, November) Korean visit experience. I think you know that story well, that he gave a hug to one Salesian Cooperator with her husband's permission and then immediately more than 40 other ladies lined up for a hug after the Salesian Family Eucharist with the ASC Promise! This is a breakthrough in the Korean tradition...! 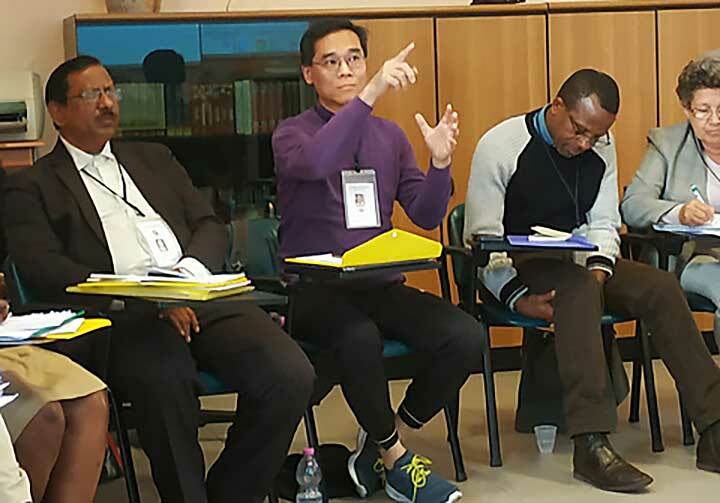 We invite all ASC members and Salesian Family members from our East Asia - Ocenia Region to sustain us with prayers until the end of this important ASC World planning meeting. 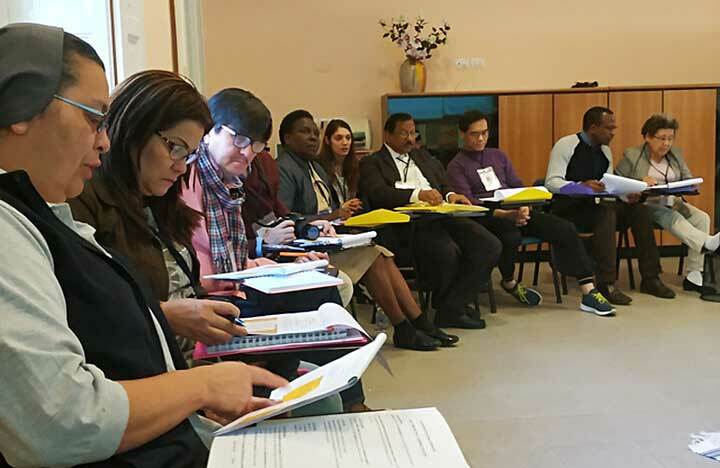 ANS - Rome) - "We meet with the objective of reflecting and initiating implementation processes in the daily tasks of our lay mission, and above all with the aim of deepening the programmatic guidelines of the six-year 2018-2024 period," said the World Coordinator of Salesian Cooperators, Antonio Boccia. 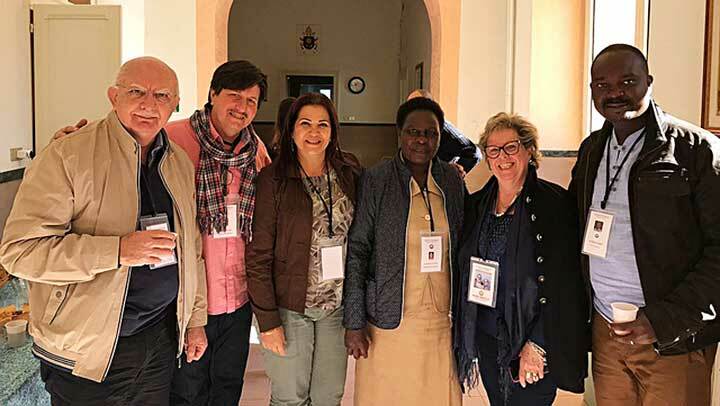 The World Council of this group of the Salesian Family is formed by the leaders of the world's 11 regions and gathers from 13 to 17 March in Rome. Yesterday, Thursday 14, the participants received a visit from the Rector Major, Fr Ángel Fernández Artime. 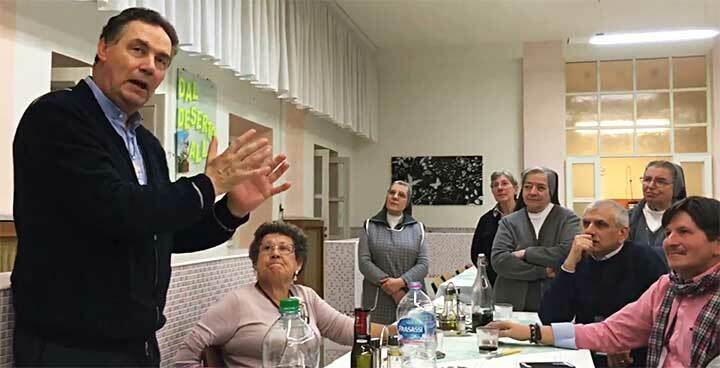 The X Successor of Don Bosco greeted each of the representatives of the 11 regions, who are accompanied in their work by Fr Eusebio Muñoz, Delegate of the Rector Major for the Salesian Family, and by delegates for Salesian Cooperators by the Salesians and Daughters of Mary Help of Christians, respectively Fr Giuseppe Casti and Sister Lesley Sándigo. 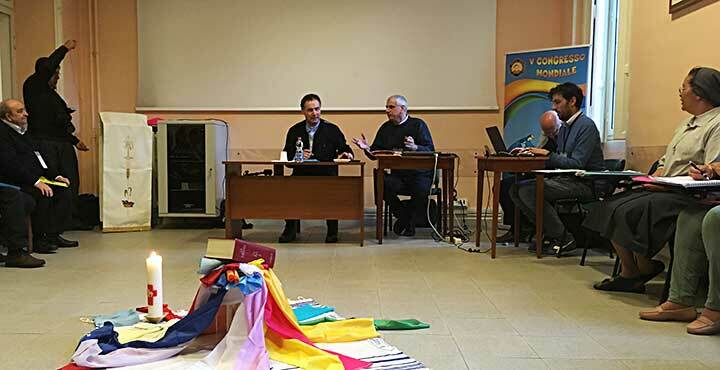 The objective of this meeting "is to review and plan the mission of the Salesian Cooperators starting from the programmatic guidelines elaborated in the World Congress for the six-year 2018-2024 period," said Fr Casti. The Rector Major also insisted on a fundamental element such as and is the Salesian Family. 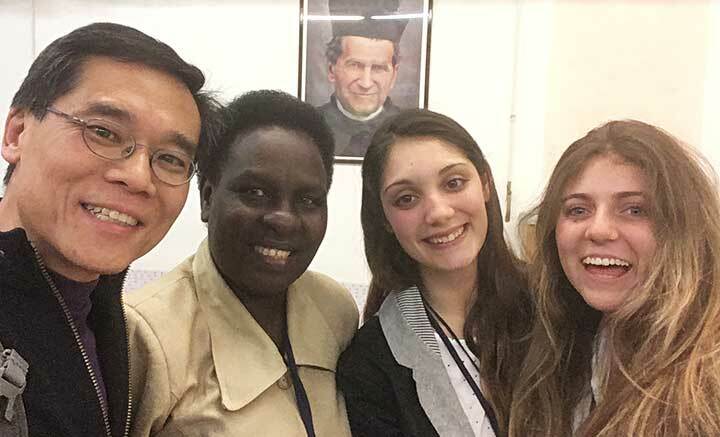 "So that it is possible to walk together, Salesians and Salesian Cooperators, I ask you to make of the mission a reality among the young. Always remember that we are born to serve boys and girls, and all our actions must be directed to work for the neediest of young people." "Furthermore," added the X Successor of Don Bosco, "I ask you to refer to the Church and a charismatic union with the Pope. Today we live in difficult times for the Church. It is true that the Holy Spirit guides the Church, but our presence with prayer and in harmony with the Pope, must show our communion and our adhesion to the Pope." The work of the World Council will continue until Sunday 17th.